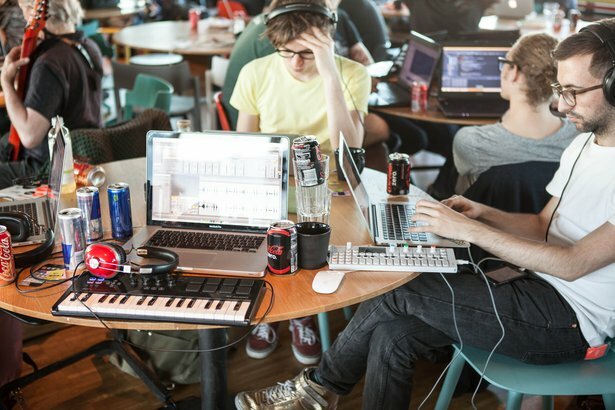 This year saw the first edition of MIDI Hack, a weekend-long hackathon dedicated to imagining the future of performance and control in music, using MIDI and other protocols. 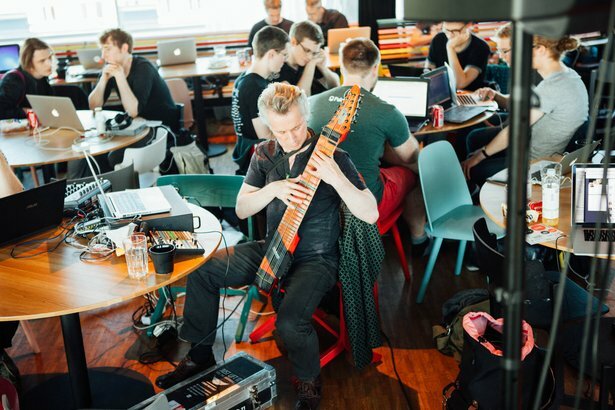 Hosted by our friends at Spotify, MIDI HACK brought together a number of inspired developers, musicians, and hardware fanatics with some seriously impressive results. We spent a thoroughly engaging weekend getting to know a diverse group of hackers, assisting where we could, and hosting workshops on Live and Push’s APIs, and Max for Live. We were thrilled to see the number of projects utilizing Live - many with innovative and imaginative Max for Live devices. From endless generative techno tracks to music made from dripping water, it was truly difficult to pick favorites from among this incredible group. 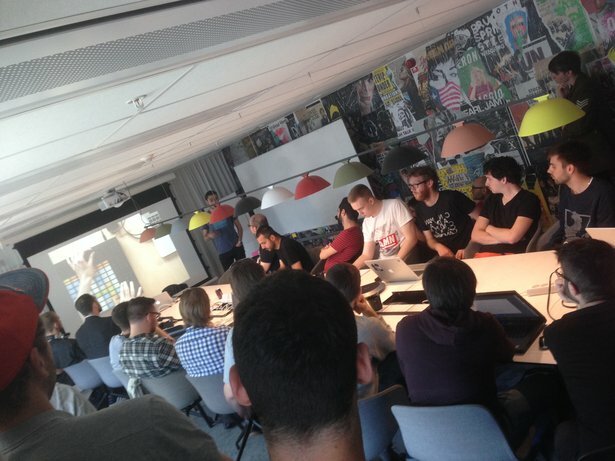 See a full list of projects from MIDI Hack. Ableton’s Juanpe Bolivar Puente presents to hackers on Live and Push. Learn more about “Look Mum, No Hands”. Stay tuned for more about Yuli and his special hack on Ableton.com. Have you hacked up a project that you’d like to let us know about? Tag us on Facebook or Twitter, and use #MadeWithLive.